If you have ever known anyone in trucking, you know that it’s hard, hard work, especially for new drivers. But you also know that the open road carries a sense of adventure. There is nothing quite like the sight of an empty highway in front of you and the majestic scenery of America the beautiful all around. It’s just you and your thoughts out there—and a great salary and a career where the doors of opportunity are open wide. If you think that trucking might open doors for you, then you have come to the right place. We are going to tell you all about the average truck driver salary and the types of training programs available to break into the field. We will also introduce you to some of the top schools for truck drivers around the country. But first, let’s talk a little more about the advantages of truck driving as a career. The prospect of becoming a truck driver for a living is an exciting one, but you probably have a lot of questions and concerns. How often will you get to come home? How will eat healthy food on the road? Where will you sleep? How will you get the exercise you need? How will you stave off exhaustion? Excellent pay. You will probably make around $35,000 a year to start with. If you stick with it, that pay could increase in excess of $100,000 at the top levels. No cap on age. In most professions, the older you get, the less likely you are to get hired. You will not face age-based discrimination in the world of truck driving. The average truck driver is nearly 50 years old. High turnover. The pressures of truck driving do push most people quickly out of the field and into other jobs. But that is good news for you! That means there is a constant need for new drivers. Where else are you going to find job demand like that in today’s world? If it turns out to be a good fit, you should have a relatively easy time climbing the career ladder. And guess what? You will have amazing job security. Robust Benefits. Truck driving comes with excellent benefits for insurance, retirement, and more. Autonomy. If you work best on your own without a nagging boss constantly looking over your shoulder, you will love the freedom and self-reliance that comes with truck driving. Nobody is there to micromanage you. You direct your own workday. The most amazing workplace in existence. When you drive a truck for a living, your office is the mountains, grasslands, deserts, and cities of America. It doesn’t get more epic than that. When you picture professional truck driving, you probably think about jobs that entail long hauls across the country. While those jobs are the most common for new drivers, there are also regional and local truck driving careers. Some local truck drivers even manage to make it home every night. While you may be discouraged at the thought of doing long hauls right off the bat, you actually should take cross-country routes over local routes in the beginning. Why? They allow you to learn the ropes while subjecting yourself to the smallest amount of risk. Do you really want to subject yourself to city roads and bumper-to-bumper traffic during your first weeks driving a commercial truck? Wouldn’t you rather get used to driving a truck on a relatively empty highway? It is a much safer and less stressful option, and makes it far less likely you will burn out in your first year. Eventually, with experience, you may find a chance to switch to a local or regional route. But many people continue to drive across country because they enjoy it! The downside of cross-country truck driving is that you will spend about a week on the road for every day you spend at home—at least in the beginning. Those days may improve as you climb the career ladder. 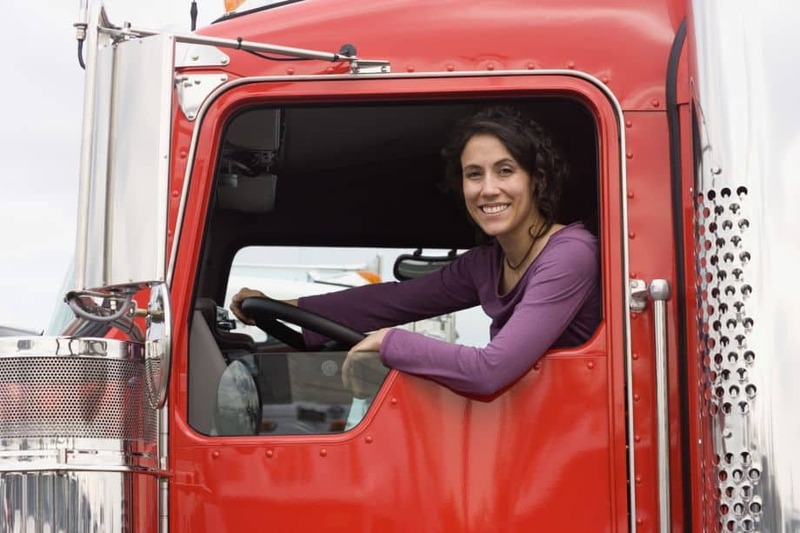 Do you have a spouse who also is interested in becoming a truck driver? There are actually jobs available for married team drivers—so that is another career option you may want to consider! The truck driver’s pay rate for new employees starts out at around $35,000-$45,000 per year. Not bad for a starting salary! If you research, you may also see that listed as the average salary. This should not worry you. It doesn’t imply there is nowhere to climb—it is simply a result of the fact that most drivers burn out fast and are quickly replaced by more new drivers. If you do manage to make it through your first year and adjust to the lifestyle, you could make around $40,000-$55,000 in your second year. That salary may continue to climb the longer you are in the industry. If you become an owner-operator, you could someday make anywhere from $95,000-$130,000 per year! That is pretty amazing for a job that requires only minimum education. In order to become a commercial truck driver, you will need a commercial driver’s license (CDL) and professional CDL training. You must be at least 18 years old to get a CDL. If you will be driving across state lines or operating a vehicle which is carrying hazardous materials, you will have to be at least 21. You must have a record free of disqualifying criminal felonies. You must test for a commercial learner’s permit (CLP) successfully and hold it for a period of at least 14 days. The CLP requires that you provide a copy of your current license as well as a 10-year driver history. You also need to certify that you are medically fit to operate a commercial vehicle. There will be a knowledge and skills test for the CLP, and you may need to pay a fee. You will also need to pass a skills test. Once you are ready to proceed with your commercial licensing, you will need to take a vehicle skills test for the same type of commercial vehicle you will be driving after you receive your license. Earn Required Endorsements. Depending on the type of vehicle and job you plan to move forward with, you may need to add an “endorsement.” This is an additional qualification, for example an endorsement to carry hazardous materials. Note that if you already have experience driving military or commercial vehicles from another job, you may be able to skip the skills test altogether! 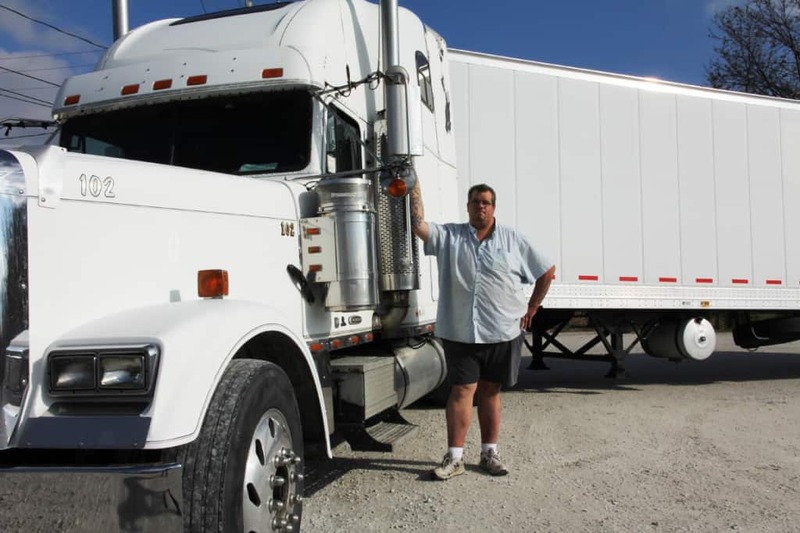 Getting a CDL is only one of the requirements to qualify to become a professional trucker. You also will need to attend a truck driving school. This may be a school which is owned by a trucking company, or it may be an independent school. How much will it run you? You can expect to pay around $2,000-$7,000 to attend an independently owned trucking school. While you may balk at this, consider how expensive it would be to attend community college to earn a degree! In today’s world, this is not bad at all. If you cannot afford to attend independent trucking school, you can try company sponsored training programs. Company sponsored CDL training will of course come with strings attached. 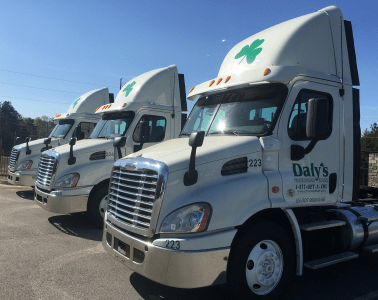 Just as the military offers to pay for college education in return for years of service, the trucking company training for new drivers expects you to pay them back through a work commitment. How long will you be tied to this obligation? Usually you will need to work for the company for around a year. You will be paid for that year of work of course, but at a slightly reduced rate. This compensates for the cost of your education. Should you decide to quit in the middle of that year, you will owe back a prorated sum. Technically you are still paying for your education when you go with a company sponsored training program, but there are no upfront payments or loans to deal with. Company sponsored CDL training is not our recommended path to start your career. You don’t want to be tied to any specific company until you know if it is the ideal fit for you and your life. That is one of the key reasons we recommend you get started with an independent trucking academy. As promised, we are now going to introduce you to some of the top driving schools around the country! Be sure to check out our full reviews for each. Swift Driving Academy is an excellent option if you are in a rush to start your new career and want to get out there on the road as quickly as possible! 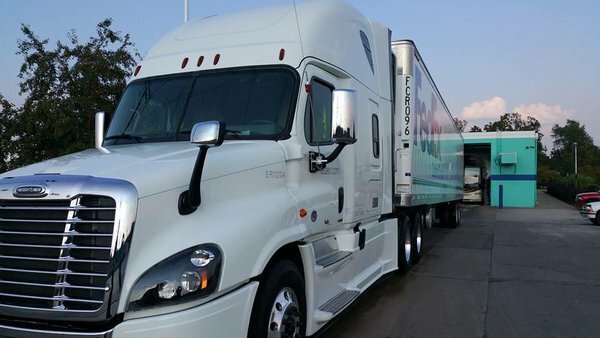 True to their name, this school swiftly transitions you to a CDL license, promising you can make the transition into trucking in just three weeks. Additional benefits include grants, job placement, and paid training for recent CDL graduates that are road ready. Swift provides you with ongoing support after you launch your new career on the road. At Sage you can launch a new career in truck driving, or you can take basic, advanced, and specialized training courses in tractor-trailer driving. Sage has locations throughout the USA, mostly in the Northeast and Central regions. Like Swift, Sage offers job placement services. 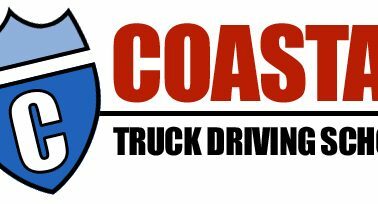 Much like Swift, Coastal Truck Driving has a focus on getting you quickly through training so you can start earning money on the road. You can transition to a career in as little as four weeks. If you can only attend class on weekends, you can fulfill the program requirements in eight weeks. Grants are offered along with job placement. For those who need to commute a long distance from home to school, there are even campuses where you can live for the duration of the program. 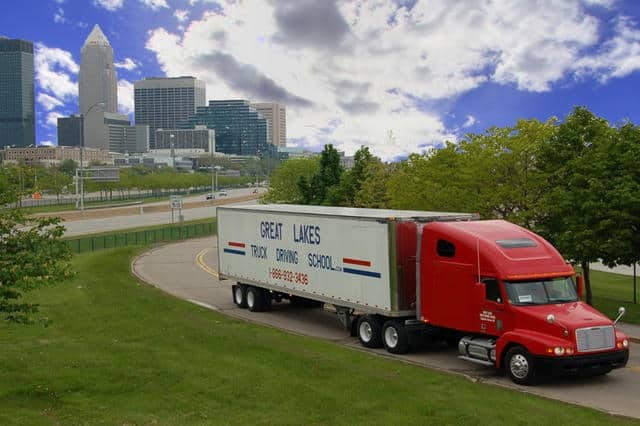 Looking for CDL training in Ohio? This Cleveland-based school offers Class A CDL training as well as training for heavy equipment operation and rough terrain forklift. Lodging is available for students who are staying away from home to train. Job placement services are available to new graduates and continues to be offered on a lifetime basis. As you can see, truck driving schools go out of their way to make training accessible and convenient for people with diverse backgrounds and situations. Whether you are out of a job and need to get started as quickly as possible or you work fulltime on weekdays and can only study on the weekends, there is a program for you. If you live a number of hours away from the closest driving school, you may very well be able to stay in dormitory-style accommodations while you are training. Truck driving is arguably one of the easiest careers to jump start in today’s economy. Just keep in mind the high turnover rate; this is a career which is easy to start, but not easy to stick with if you are not committed to long hours and distances. Truck driving is more than a career—it is a whole new lifestyle. If that lifestyle doesn’t suit you, you probably will not last even a year. 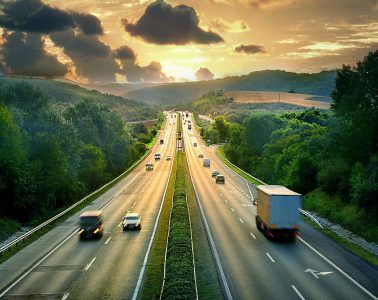 But if truck driving is an ideal lifestyle for you, you are about to embark on one of the most exciting adventures you can imagine. Get ready to trade in your tiresome office cubicle for a chance to see the country—and get paid to do it. You’ll be earning a middle income salary right from the start, and will have the chance to earn more and more as time goes on. You will enjoy the best in benefits and job security. Your new life is waiting for you; you could be just three to four weeks away from transitioning to the career of your dreams. So what are you waiting for? Get in contact with a truck driving school near you!